A durable and hard wearing option in your office or workspace, our Gompels Pedal Bin Mirrored Stainless Steel offers reliable function at every use. Constructed from high shine mirror finished stainless steel, the entire body is easily sanitised using antibacterial wipes or spray and can be brought back to it's original sheen with ease. 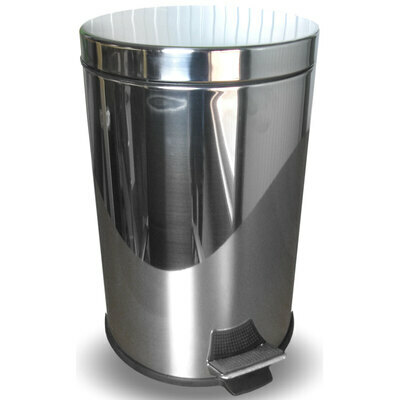 A 5 litre capacity makes this bin suited to all environments from resident bedrooms through to office washrooms. The removable bucket liner allows waste to be disposed of hygienically while also making it easy to clean the entire bin effectively. The bin has been fitted with a sturdy handle, allowing it to be transported and stored while a smooth base gives added stability during use.